This is an event for OVWC members. Member dues help pay for this event, so if you have not paid your dues, please do so before attending or at the event. Member dues are $24 per year. If you are not a member and have never attended a club event, you are welcome to come and check out what club events are like. We think you’ll have a good time and hope you’ll decide to join the club. The 2018 Fall Cruise is near! Again we will be meeting in Omaha and cruising to Randy’s Resto Shoppe near Shelby, IA. 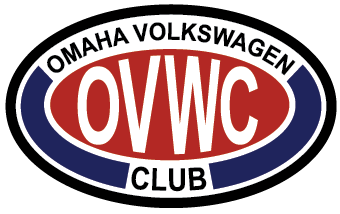 We will meet at Baxter Volkswagen La Vista, leave at 1:00 PM (so come a little early), cruise through Omaha, Council Bluffs, some great bluffs and Loess Hills highways and end up at Randy’ farm house (aka. Randy’s Resto Shoppe). Like usual there will be a bonfire, a shooting range, good food and good company. The club provides smoked meat. Please bring covered side dish to share. Bring safe items to burn in the bonfire (no paint or other toxic goods).